Vocation is the most precious gift God showers upon the human heart. Always He separates a particular group of people for Him. Whenevr He calls a man; He lives with him and guide Him according to the will of the Father. The 12 disciples, who were selected from the world, were formed for a period of three years. The presence of Jesus and His inspiring words transforms their lives for a new life where they start to catch man instead of fish. A thorough formation is a must for every person who is called God. The candidates who are called to a dedicated life through Snehagiri is given a value based spiritual formation which aims at the integral growth of the candidates. The candidates are given 5 years of training before their vestition and first commitment. For the first three monthe they are given the boarding. It is a phase to know Snehagiri and religious life. Though they are not given any particular assignments during that period, the candidates are given enough chance to be with the apostolic fields of Snehagiri. Also they are given special training in English language, craft works, tailoring, music, musical instruments and there are various clases on religious life, Snehagiri Charism and vocation. Aspirancy :- After three months, bording, the candidates enter in to the Aspirancy period. It prolongs to a period of 9 months. The candidates are introduced to the life of Snehagiri more seriously here. Along with classes they are given chance to do service to the poor as to the special charism of the congregation. The integral training is continued through out the period of formation. Postulancy:- It is a two year programme of the Formation. The candidates are allowed to enter into the Postulancy period after their Aspirancy. It is more important period in their formation. Along with spiritual classes, the Formees do their Plus One & Plus Two courses during this period. There is a regular class system in this period. The students are given more experiences about the religious life. The candidates wear white saree as uniform of this period. Novitiate:- It is the most important phase of the formation. We have two year novitiate period. The first year is the canonical year where the Novices are exclusively separated from the world and are formed to live with God in prayer and sacrifices. They have classes on various religious and theological subjects and have special training in prayer life and meditation. In the second year they are given the practical experiences on religious life through a two months regency, one month exposure programmes. During their regency period they live with the communities and experience the life of Snehagiri more practically. Also there is a two month intensive theological course in the diocesan institution along with the novices of other congregations. The last two months of their formation period is the intensive preparation for their commitment. Here they spent more time in prayer and meditation. After the completion of 5 year formation the candidate dedicate themselves to the will of God through three vows, Obedience, Chastity and Poverty. It is a grant celebration every year. The parents and family members of the candidate attend the function with vigour and gratitude. Juniorate:- It si also the part of the Formation. 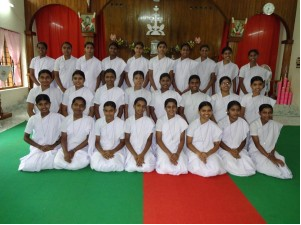 The Junior sisters are given chance to live in Snehagiri doing service in various apostolic fields and also they are sent for various academic courses. We conduct Juniors’ gathering in the General and Provincial level. 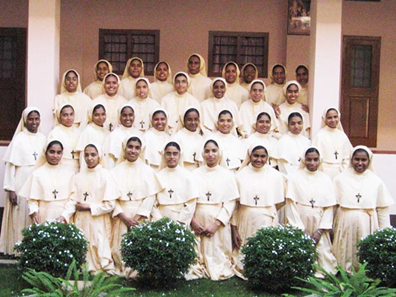 They are given an in charge sisters and she takes care in their spiritual and integral formation. The Junior sisters renew their vows for five years and after sisx years they commit themselves perpetually to God through the Final Vows.